Slack helps teams communicate efficiently. Research shows that spelling and grammar mistakes make your message less clear and can cost you credibility with your peers. This Zapier automation allows you to create a personal proofreader directly in Slack so that you can quickly and easily eliminate errors from your messages before you send them. 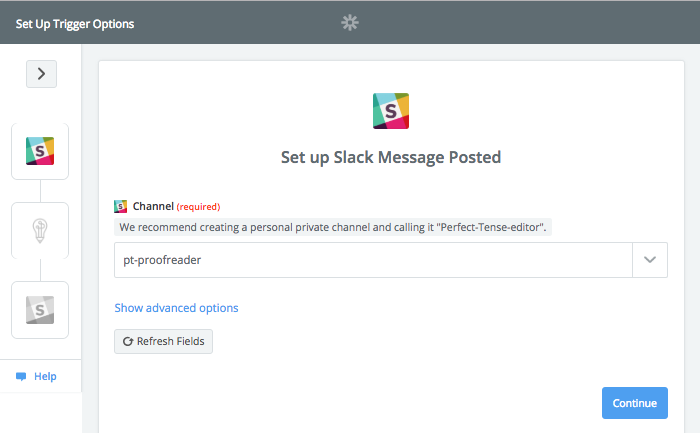 Specifically, this automation will send any message posted in your private Slack channel to Perfect Tense for proofreading and in less than a second, Zapier will post the corrected version of the message right back in that channel. The errors will be removed and the message will be ready to copy and paste right where it needs to go. 2. Follow the template below to set up your personal proofreader. 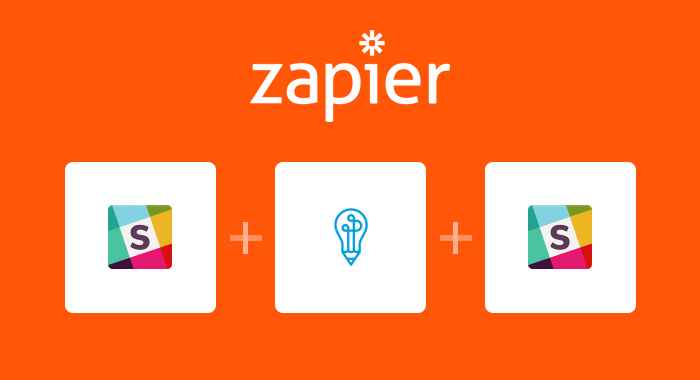 Click “Use this Zap” then “Create this Zap” to get started. The template itself should walk you through most of the setup, but this tutorial will help you fill in any remaining blanks. The first trigger (New Message Posted to Private Channel) will be preselected for you by Zapier. All you will need to do is connect your Slack account. Next, you need to select the private channel that you would like to host your proofreader. We recommend going into your Slack account and creating a private proofreading channel before building this integration. 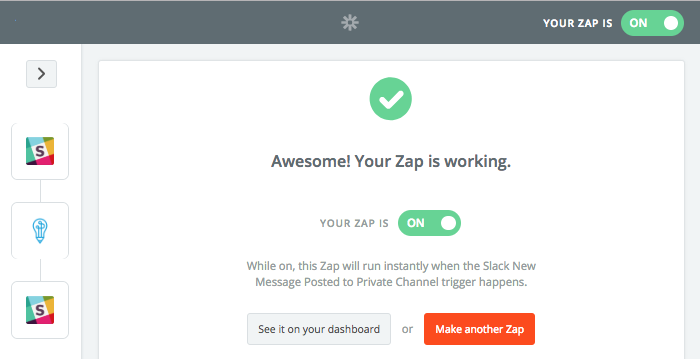 We also recommend sending a test message in the channel so Zapier will have a sample to pull for the next step. 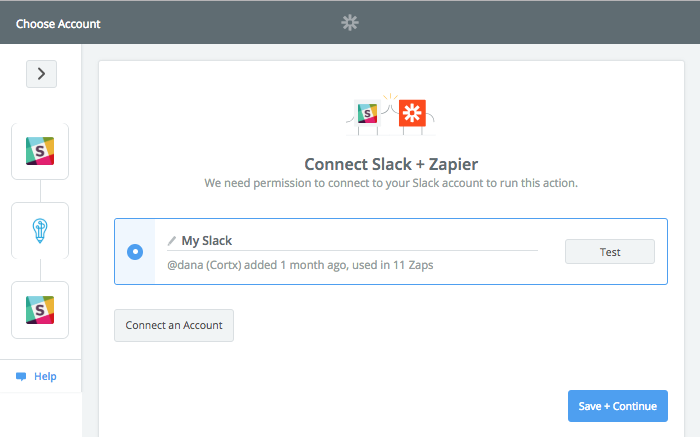 Zapier will test the connected account and channel to make sure everything is working properly. The Perfect Tense action (Correct Text) will be pre-mapped so all you need to do is connect your Perfect Tense account. Here, “Text” should be pre-mapped in the text field, if it is not, simply select “Text” from the drop-down menu. 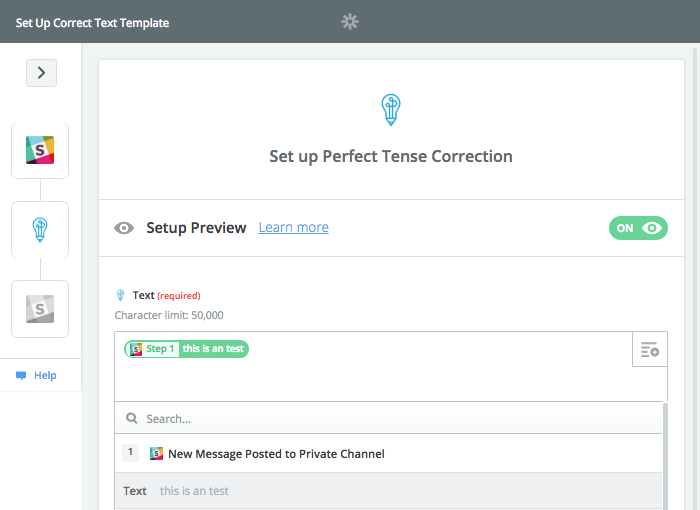 This is the text that Perfect Tense will automatically correct when it receives a new message. Zapier will send a sample message to make sure Perfect Tense can correct the text. Once this test is complete, you are ready to set up the final step. The action step (Send Private Channel Message) will be preselected; all you need to do is make sure the same Slack account is connected. The final step should be filled out for you, but if it is not, make sure that the “Channel” is the private channel you selected in the first step. The actual message text should be pre-mapped to tell you how many errors Perfect Tense corrected, what your original grammar score was, and give you the fully corrected message. Once you have saved and tested the last step, your personal proofreader should be all set up! 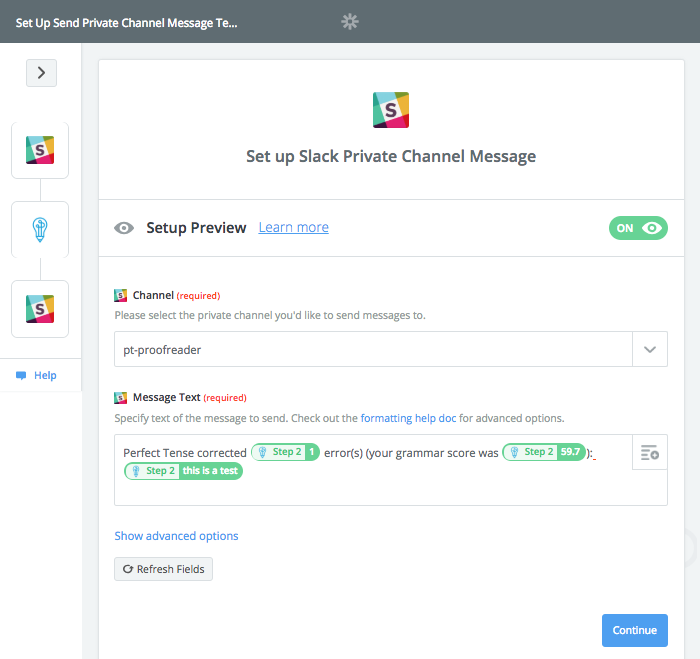 Now, you’ll be able to double check a grammar question or quickly proofread any messages right in Slack!